Just like you, I was under the impression from this film that we were dealing with the same incarnation of Voldemort we’ve seen in the previous movie. However after reading the book I was like “huh?”. Actually, Lucius Malfoy doesn’t have any contact with Voldemort after his “defeat”. He doesn’t really know how the diary works, neither does Dobby. His plan was to get rid of this incriminating artifact of his old master because of the raids Arthur Weasley was conducting. He planted it on Ginny Weasley in order to discredit the Weasley family. He also wanted to remove Dumbledore as headmaster of Hogwarts. Nothing of this involves Harry Potter. For some reason however, Dobby thought that this might threaten his hero of whom he knows nothing about. Anyway, Tom Riddle knows everything about Harry Potter from Ginny Weasley. He pretends to be her friend and she confides all her worries ands secrets to him. That’s how he takes control of her. Tom Riddle wants to meet Harry Potter in order to verify Ginny’s characterisation of him. She got it right. 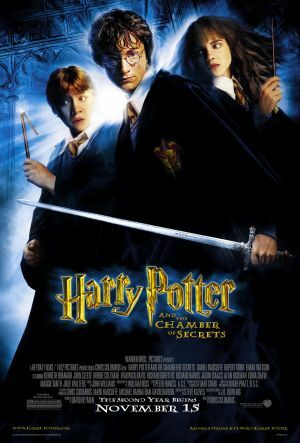 Harry is the type to go to any lengths to sove the mystery about the Chamber of Secrets. If he takes Ginny to the Chamber, Harry would come for her. And so he does. 16 year old Voldemort did this. The other one, who tried to steal the Philosopher’s Stone is still lurking about in the forrests of Albania at this point. The movie didn’t make this clear.